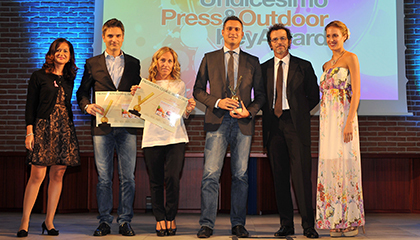 TLC Marketing is proud to announce the amazing results from the 11th Press and Outdoor Key Award in Italy, organized by Media Key. 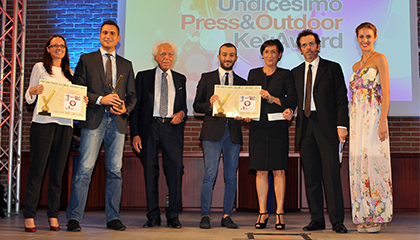 The prestigious event took place in Milan Iulm university on Tuesday October 7th, 2014. 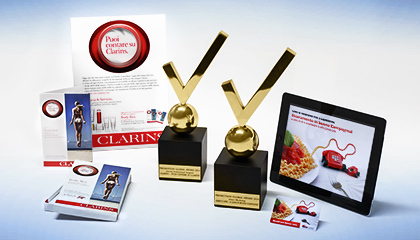 The agency was awarded with a glorious first place for both “Puoi Contare su Clarins” and “A cena in buona compagnia” (Direct Line) campaigns, judged as the best ones in Integrated Promotional Campaigns and Direct Marketing categories. 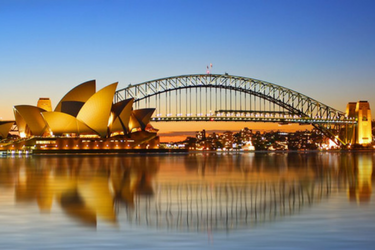 Both campaigns were developed in house, from the concepts to partners' recruitment down to creative execution.